Jembrana, the Bali regency where Dajuma is located, is known as “Gumi Makepung” since it owns the one and only bull-race (read Makepung) in Bali. 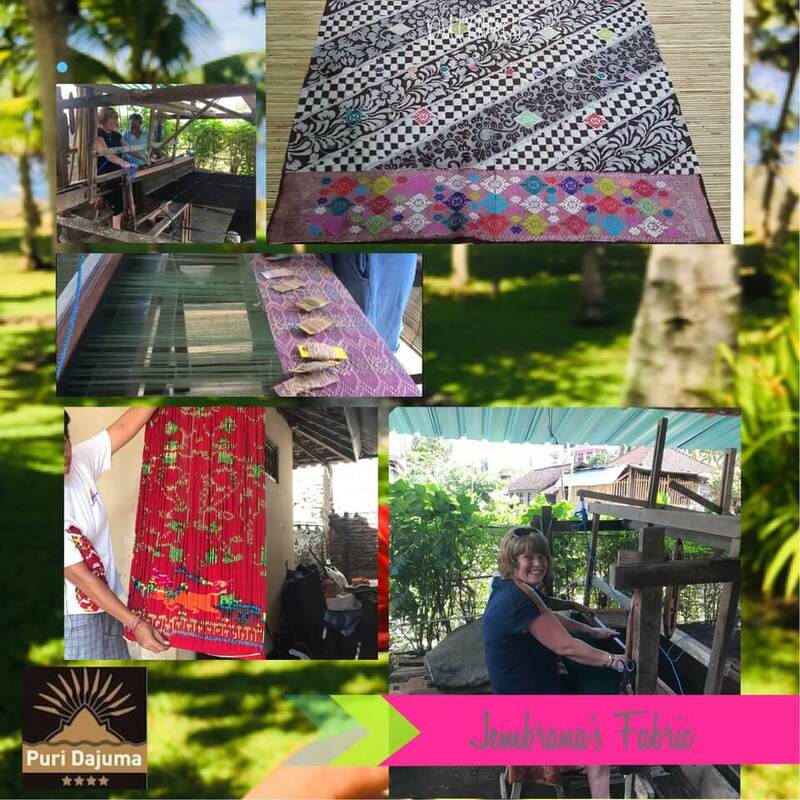 Another thing that makes Jembrana become one of the place that you should visit is the traditional workshop of hand-made fabric. Jembrana has 2 kinds of fabric called Endek and Songket. On the picture is one of our guest Denise who enjoyed practicing the endek weaving, during her half day trip to discover West Bali. Just don’t forget to bring home one of them as a beautiful souvenir of West Bali next time you decide to visit us!